Gentry Locke Rakes & Moore, LLP, representing three Virginia coal owners, has secured a $75 million settlement from Consol Energy, Inc. of Canonsburg, Penn., and its subsidiaries resulting from the energy consortium’s decision to secretly dump billions of gallons of contaminated water into several mines in western Virginia for over a decade. The award is among the highest environmental property damage settlements ever awarded in the U.S.
On June 1, 2010, the parties to the Buchanan County Circuit Court case of Yukon Pocahontas Coal Company, et al. v. Consolidation Coal Company, et al., Island Creek Coal Company, Consol Energy, Inc., and CNX Gas Company announced to Judge Michael Moore that the case had been settled for cash payment of $75 million, bringing to an end a complicated legal proceeding led by the Plaintiffs’ attorney, J. Scott Sexton of Gentry Locke and Benjamin Street, of the Street Law Firm in Grundy. The case was filed when the Plaintiffs discovered that Consolidation Coal Company had been secretly dumping billions of gallons of waste water from its Buchanan Mine into neighboring mines where the Plaintiffs’ coal had previously been mined by Island Creek Coal Company. Plaintiffs alleged that, rather than building expensive wastewater treatment facilities, Consolidation chose a cheaper short-term solution that hid contaminated water problems from local regulators and coal owners. In 2004, the Plaintiffs learned of Consolidation’s actions and filed suit. The lawsuit sought damages for the injuries to Plaintiffs’ coal and gas, as well as for the value of the benefit that Consolidation received from its trespass that allowed it to stay in business and substantially reduce its costs. Sexton says he is pleased with the settlement and the clear message it sends to coal companies that ignore clean water regulations in the interest of profit. “This case should serve as a warning to coal operators who choose to trespass in private rather than respect the property rights of the coal owners they depend upon for their operations and profits,” says Sexton. “It reinforces to coal operators that the coal leases under which they operate do not allow actions that injure or diminish the value of the lessor’s property; it confirms that a parent corporation cannot assume it has rights through the contracts of its subsidiaries; and it indicates that hiding pollution-related property damages in Virginia will not protect a defendant under the statute of limitations,” Sexton adds. The Consol Defendants had aggressively maintained that they were entitled to dump the waste water due to rights they alleged from an old coal lease between the Plaintiffs and Island Creek Coal Company, and asserted that the Plaintiffs’ claims were barred by the statute of limitations. In a similar case brought to the Virginia Supreme Court in 2008 and also argued by Sexton, (Levisa Coal Company v. Consolidation Coal Company), it was determined that the type of coal lease at issue did not provide rights as extensive as those claimed by Consolidation. Relying in part on the precedent of the Levisa opinion, the Buchanan County Circuit Court entered a ruling the Defendants had no legal right to dump the Buchanan Mine waste water into the neighboring mines. Significantly, the Circuit Court also ruled that the little-used statute of limitations tolling provision found in the federal CERCLA law applied to this state law case, so long as there was property damage resulting from the release of a contaminant. Matt Broughton is a Senior Partner and serves on the Management Committee for the firm. Matt heads the Plaintiff’s/Personal Injury/Subrogation practice areas at Gentry Locke. During his decades of experience, he has tried hundreds of complex cases in the areas of personal injury, business disputes, worker’s compensation, and aviation law, many involving millions of dollars. Scott Sexton’s experience as a Senior Litigation Partner includes complex commercial litigation, products liability, toxic torts, significant property disputes, mineral cases, catastrophic injuries, mass torts, and multi-district litigation. He chairs the firm’s Mineral, Energy & Natural Resources section, has been recognized by his peers as a Leader in the Law for his role in developing the law in Virginia, is a charter member of the International Institute of Environmental, Energy and Natural Resources Law, a member of the Energy and Mineral Law Foundation, and a Senior Fellow in the Litigation Counsel of America. 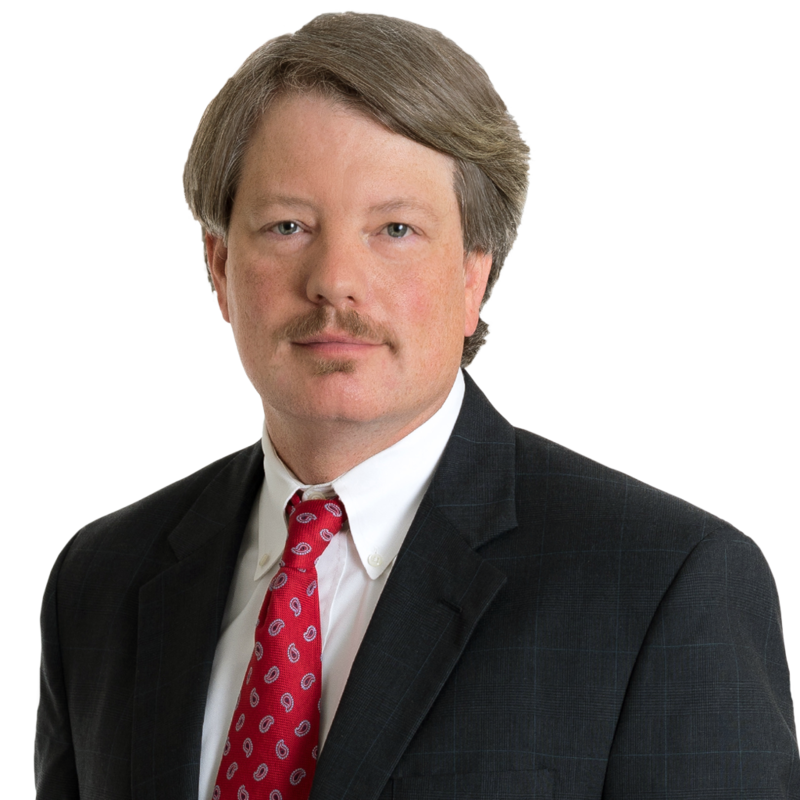 Travis Graham represents both plaintiffs and defendants in the state and federal courts of Virginia and Tennessee, and focuses on trust and estate litigation, product liability cases, medical malpractice, and complex commercial litigation. He advises outdoor recreation groups on issues of access and liability, and is a frequent writer, lecturer, and consultant on issues of federal and state civil procedure.